AstroGuard is shaking up the hurricane protection marketplace. Hurricane fabric is quickly becoming the superior to traditional hurricane shutters, and now AstroGuard has emerged as the next generation of hurricane fabric. The combination of a high-strength, high-tenacity nylon hybrid fabric with an ultra-durable, UV resistant resin coating provides hurricane protection that is stronger, easier to own and maintain, and more affordable. 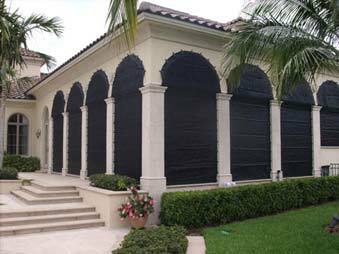 With a burst strength of well over 1,200 lbs., AstroGuard easily outranks metal panels, roll downs, accordions, and any other hurricane fabrics made of a see through material. Those hurricane windows and impact glass don't stand a chance against debris in 75+ mph winds but AstroGuard hurricane fabric will give you the assurance you need when it comes to hurricane protection for your home or business. Weighing only 11 ounces per square yard, AstroGuard hurricane screens are easy to deploy at storm time; making hurricane preparedness a breeze. It also folds up neatly into its own storage bags, taking up very little room in an attic, storage unit or garage. You will never have to wrestle heavy, sharp metal hurricane panels again! What’s best about AstroGuard however is the fact that you don't have to look at your hurricane protection 365 days a year—we are there when you need us. 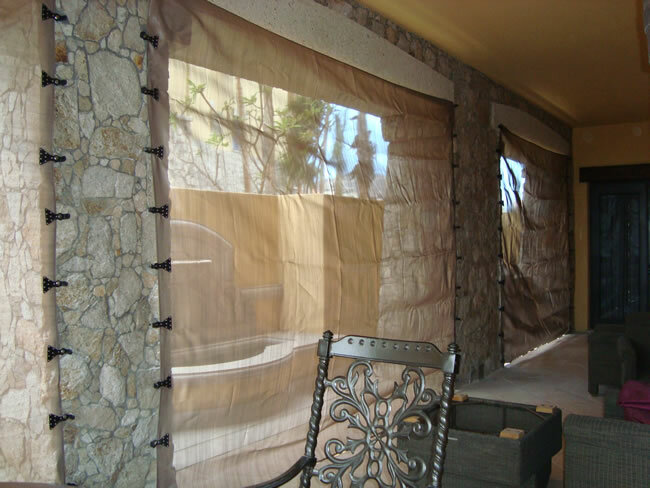 You care about the look of your residence, don’t detract from it with unsightly hurricane protection systems. Visit our websites to learn more!